What Is Interference in Psychology? Interference is one theory to explain how and why forgetting occurs in long-term memory. Interference is a memory phenomenon in which some memories interfere with the retrieval of other memories. Essentially, interference occurs when some information makes it difficult to recall similar material. Similar memories compete, causing some to be more difficult to remember or even forgotten entirely. Because of this, some long-term memories cannot be retrieved into short-term memory. Have you ever found yourself confusing the memory of one event with another? Such occurrences can be surprisingly common, especially if you are faced with a number of very similar memories. If someone asked you to recall what you had for breakfast last Monday, for example, you might struggle to remember because you have so many similar memories of other meals. 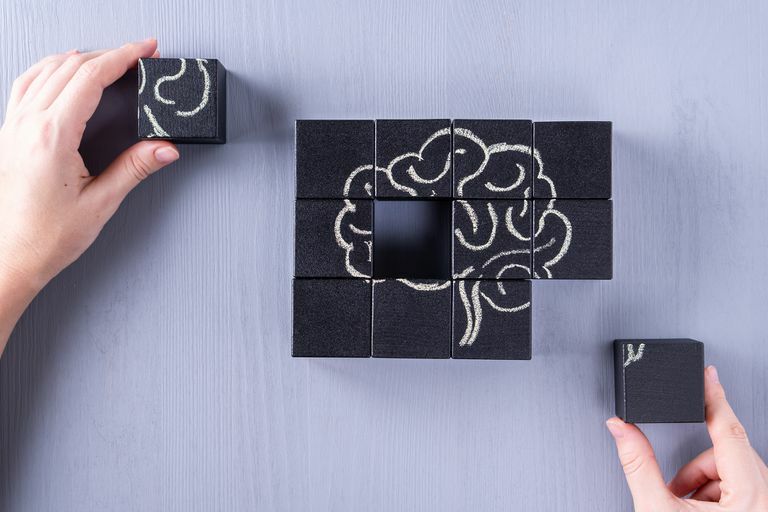 There are many different but similar memories encoded in long-term memory, which can make it challenging to recall a specific event and bring it into short-term memory. What causes forgetting? Researchers have long been interested in understanding not only how memory works but why people sometimes forget. Interference theory is just one of several proposed explanations for forgetting. Some important studies have contributed to the development of interference theory. In one of the first studies on the phenomenon of interference, researcher John A. Bergstrom had participants sort cards into two different piles. He found that changing the location of the second pile resulted in slower performance, suggesting that learning the rules for the first task interfered with the memory of rules for the second task. In 1900, researchers Muller and Pilzecker conducted influential studies on retroactive interference. They found that people were less likely to recall nonsense syllables if intervening material was presented 10 minutes or sooner following the original learning task. They suggested that this indicated that new memories require a period of time to become stabilized in memory, a process they dubbed "consolidation." During the late 1950s, psychologist Benton J. Underwood looked at Ebbinghaus's famous forgetting curve and concluded that forgetting was influenced not only by time but also by previously learned information. Something called decay theory, for example, elaborates upon Ebbinghaus’s research and suggests that memories decay over time, leading to forgetting. However, a memory may also be susceptible to a number of other influences that affect how well things are recalled and why they are sometimes forgotten. While researchers can control for other factors in a lab setting, the real-world is filled with a variety of events that may also have an impact memory. Many events can take place between the time a memory is encoded and when it is recalled. How rarely (if ever) do you form a memory and then learn nothing new between the formation of that memory and the need to recall that information? Such conditions usually only take place artificially in experimental labs. Any number of these events and memories formed might play a role in interfering with the retrieval of a memory. In your day-to-day life, any number of events, experiences, and new learning can occur between the actual formation of one memory and the need to recall that memory. Researchers have found that when intervening gaps between encoding and recall are filled with other information, then there is a corresponding negative impact on memory. Due to this, it can be challenging to determine if forgetting is because of the passing of time or if it is a consequence of one of these intervening factors. Research suggests, for example, that interfering memories are one factor that can also contribute to forgetting. There are two different types of interference: proactive interference and retroactive interference. Proactive interference is when older memories interfere with the retrieval of newer memories. Because older memories are often better rehearsed and more strongly cemented in long-term memory, it is often easier to recall previously learned information rather than more recent learning. Proactive interference can sometimes make it more difficult to learn new things. For example, if you move into a new house, you might find yourself accidentally writing your old address down when filling out forms. The older memory of your previous address makes it more difficult to recall your new address. Retroactive interference is when newer memories interfere with the retrieval of older memories. Essentially, this type of interference creates a backward effect, making it more difficult to recall things that have been previously learned. In the case of retroactive interference, learning new things can make it more difficult to recall things that we already know. For example, a musician might learn a new piece, only to find that the new song makes it more difficult to recall an older, previously learned piece. Research has found that around 70 percent of information is forgotten with 24 hours of initial learning. While retroactive interference can have a dramatic impact on the retention of new knowledge, there are some effective strategies that can be implemented to minimize these effects. Overlearning is one effective approach that can be used to reduce retroactive interference. Overlearning involves rehearsing new material past the point of acquisition. It means studying and practicing what you have learned over and over, even after you have achieved sufficient mastery of the subject or skill. Doing this helps to ensure that the information will be more stable in long-term memory and improve recollection and performance. There are many different examples of how interference can influence everyday life. Consider what happens when you learn how to do something new. If you get into the habit of doing something incorrectly, you will probably find it much more difficult to correct the behavior and perform the actions correctly in the future. This is because your previous learning interferes with your ability to remember more recent material, an example of proactive interference. Imagine a student preparing for a history exam. Between learning the information and taking the actual test, many things can take place. A student may take other classes, work, watch television, read books, engage in conversations, and perform many other activities during this intervening period. In addition to general decay caused by the time elapsed, other memories might form that could potentially compete with the material the student learned for his exam. If this student happened to be a history major, he might have even learned and studied material on similar subjects that might pose even greater interference. So when the student goes to take his exam, he may find recalling some information quite difficult. If he has learned subsequent material that is very similar to the original information, recalling facts and details for the exam might be quite difficult. He might find himself mixing up dates of historical battles, or even struggle to remember essential details about how and why certain events took place. The memories formed during the interval between the learning and the test interfere with the older memories, making recall much more difficult. There are many other examples of interference and its effect on our memories. After changing your mobile phone number, you have a difficult time remembering the new number, so you keep accidentally giving people your old number. The memory of your old number interferes with your ability to recall your new number. You are trying to memorize a list of items you need to pick up at the grocery store. During the intervening time, you also happen to read a new recipe on your favorite cooking website. Later at the grocery store, you find yourself struggling to remember the items from your shopping list. The competing memory of the recipe’s ingredients interferes with your memory of what you need at the store. Students are often more likely to recall information that they learn shortly before an exam than the material they learned earlier in the term. In this case, newer information competes with the older learning. A native English speaker who is trying to learn French might find that they keep trying to apply the rules of their native language to the new language they are trying to learn. Older memories interfere with memories of the new information, making it harder to remember the grammar rules for the new language. A teacher may struggle to learn the names of her new students each year because she keeps confusing them with the names of her students from previous years. Researchers have been able to demonstrate the effects of interference in numerous studies. They often do this by increasing the similarity of the information presented. For example, participants may be presented with the original information and then after a period of time, presented with more information. When tested on what they recall, interference is observed more frequently when the secondary information contains more similarities to the original material. The more similar two memories are, the more likely it is that interference will occur. In one of the earliest studies on the interference theory of forgetting, researchers had subjects memorize a list of two-syllable adjectives. Later, subjects were asked to memorize one of five different lists. Some of these lists were very similar to the original test material, while others were very different. For example, some lists contained synonyms of the original words, some antonyms, and some were simply nonsense syllables. Later testing showed that recall improved as the differences between the two lists increased. The more similar the lists were, the more interference there was, leading to more difficulty with recall. In one 2018 study, researchers found that retroactive interference had a negative impact on learning and memory consolidation. After a learning task, some participants were presented with a subsequent interference task at various time points. Some had the second learning task three minutes after learning the first information, while others had it nine minutes after. What the researchers discovered was that the interference task decreased memory performance by as much as 20 percent. Interestingly, interference tended to have a greater negative impact on those identified as "fast learners" than it did on those identified as "slow learners." Interference can play a prominent role in the learning process. Research suggests that previously learning material can have an impact on future learning and, conversely, newly learning information can affect past learning. One study found that retroactive interference effects were more profound in younger children, but that these effects may diminish as people age. Interference theory can have a number of real-world applications. From a practical, everyday standpoint, one of the best ways to improve your memory for something is to make it stand out. If you are trying to remember something and want to avoid the effects of interference, look for a way to add novelty. Making up a song, rhyme, or mnemonic is one way to help make what you are studying stand out in your memory. By making it memorable and less similar to other memories, it may become easier to recall. Regular practice sessions can also be useful for promoting overlearning and reducing the probability that new memories will interfere with what you are learning now. While interference is just one explanation for why we forget, it is an important one. The competition between similar memories might make it much more difficult to recall things you have learned in the past. This interference can also make it much more difficult to recall more recent memories, which can make learning difficult. Studies in lab settings support the existence and impact of interference, but in real-world settings, it is much more difficult to ascertain just how much of forgetting can be linked to the effects of interference. Radvansky, GA. Human Memory. London: Psychology Press; 2015. Sosic-Vasic-Z, Hille, K, Kroner, J, Spitzer, M, & Kornmeier, J. When learning disturbs memory - Temporal profile of retroactive interference of learning on memory formation. Frontiers of Psychology. 2018. DOI:10.3389/fpsyg.2018.00082. How Does the Recency Effect Influence Memory? What Is Displacement in Psychology? What Is Replication in Psychology Research?